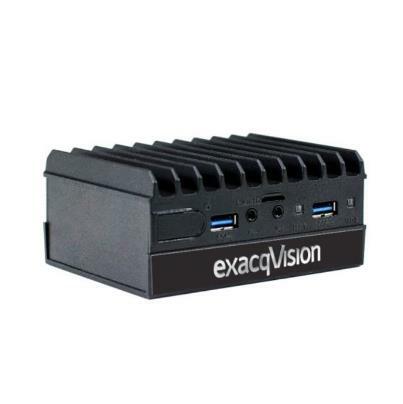 Exacq Vision G-Series Desktop recorder with 2 professional IP cameras licenses (8 max), exacqVision Professional server, client, web/mobile software pre-installed with 3 years software upgrades and hardware warranty. Ubuntu Linux 16.04, mini-DisplayPort, HDMI monitor outputs, Dual Gb NIC. Mouse included with on-screen keyboard installed.